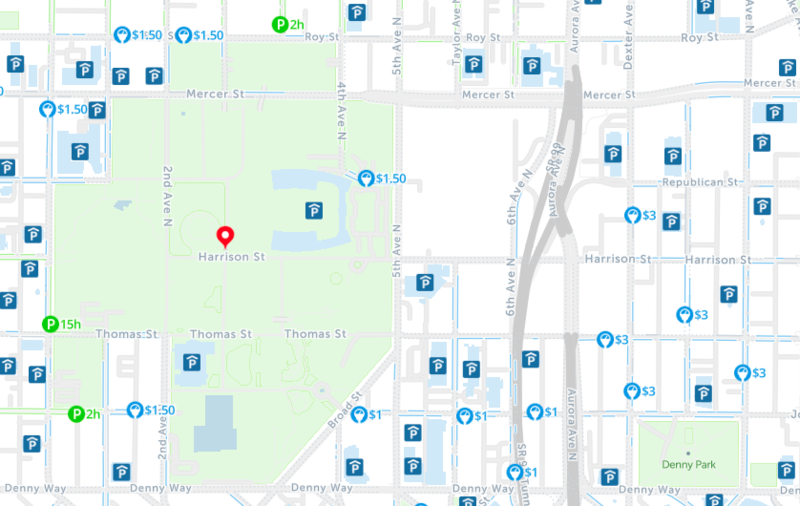 Not only will this free parking map of Seattle show you free street parking, but you’ll be able to find parking spots at nearby parking garages and even book directly from the map. Simply type the address you’ll be parking near in the search bar and adjust the time settings to reflect the times you’re looking for. 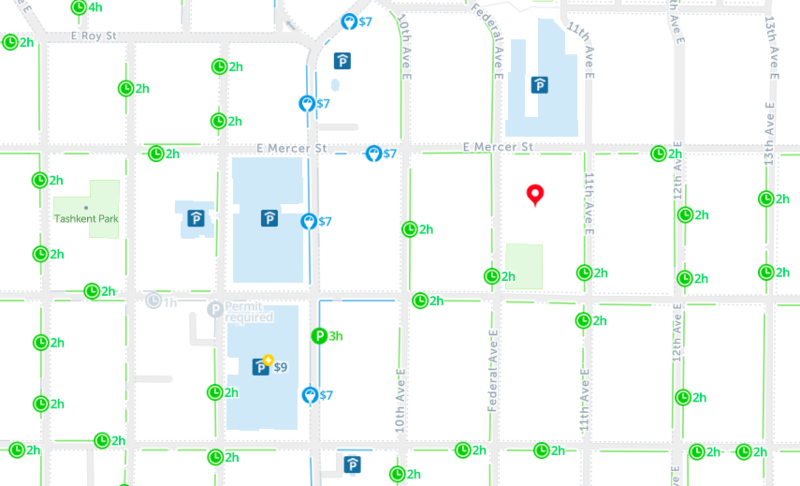 The pricing on the map updates to show free parking in real time, no matter where you need it. Head to the Waterfront for three hours of 3 parking over the winter holiday. Ten garages in Seattle’s Retail Core offer flat rates of $7 or less to park all evening or all day on Saturdays and Sundays. Pike Place Market on the itinerary? Get an hour of parking for free at the Public Market Garage, which is part of the low-rate program where you can park for $3/hour up to 4 hours. You can get four hours of parking free in select Pioneer Square garages during First Thursdays. Park for free when you visit Pioneer Square’s First Thursday art walk! Select Pioneer Square garages offer free parking between the hours of 5p and 10p. 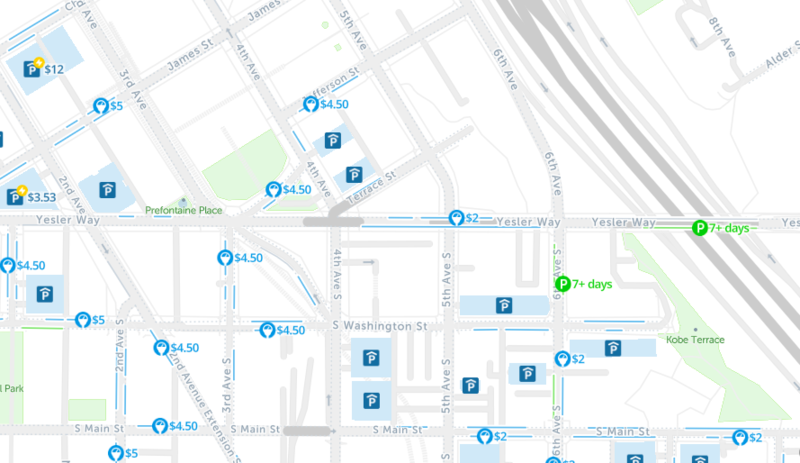 What about finding free parking in downtown Seattle? Free parking downtown is extremely limited. If it’s a Sunday, scour the streets for a free spot but don’t expect to find many open. Most residents recommend taking public transportation and parking your car near the station. Is parking free in Seattle on Sundays? *If the date falls on a Sunday, the Monday that follows is a free parking day! There is lots of street parking at the “L” between Republican and Warren Streets, just east of 1st avenue. Alternatively, drive near Memorial Stadium and the KCTS building at the “L” of Republican and 4th Avenue North to score a potentially free spot. From there, it’s easy to walk to the Seattle Center. Also known as Seattle’s International District, Chinatown is a bustling hub of shopping and cultural activity, but finding free parking can be a challenge. Look for businesses that offer parking validation, like the Uqajimaya grocery store parking lot. Just make sure to grab a few groceries on your way out to validate your parking! There is plenty of free parking just north of Chinatown. Click to map to find spaces. Depending on when you park, there are many free spaces available near Capitol Hill. Click the map to find them.